Daylight saving time nearly moved the MMA Universe off its axis. In the ever-changing climate of MMA rumors, the writers who come up with the sport’s storylines really cannot afford to lose an extra hour. 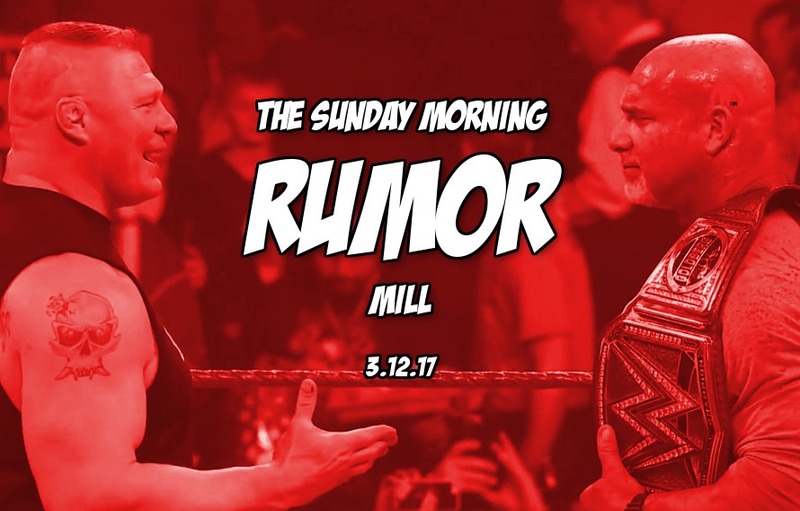 Take a break from spring-cleaning and horde yourself some fresh MMA rumors because this is your Sunday Morning Rumor Mill. The rumor mill has been beating this drum for several months but Mayweather vs. McGregor crossover boxing mega fight is closer than ever. Two speculative dates have been set aside, a venue has been confirmed and contracts have already been drawn up for all parties involved. From a crazy to rumor to a possible boxing match that may be now close to “90%” to being booked. Rumors are that a plan has already been put in place by the UFC for a potential Brock Lesnar title fight in the Fall. Lesnar’ retirement from MMA appears to be all smokescreen and the former UFC heavyweight champion has been seen back in the gym training per sources. Next articleVideo: Michael Bisping in complete free fall or leveling up?